There were very few things we coveted in the ’90s as much as a good scratch-and-sniff sticker. The wisest among us knew you had to be conservative with all that scratching to make the smells last, and only dared wear the sticker on a momentous and worthy occasion, knowing it would lose its magic fast. Well, it turns out you can relive that glorious burden of childhood, because Chipotle is giving away scratch-and-sniff stickers on its website on Oct. 10 — stickers that legitimately, Beyoncé as my witness, smell like Chipotle food. 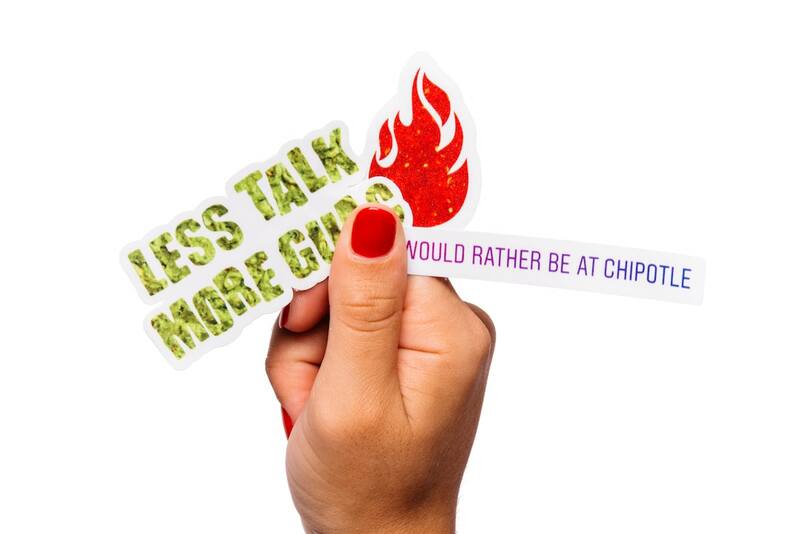 The batch of stickers is being released in celebration of 100 million views of Chipotle’s Giphy stickers on Instagram and Snapchat, all of which any true burrito lover has liberally abused across social media in the Year Of Our Aggressive GIF Usage 2018. Now you can treat yourself to a real-life version of the GIF, via these limited edition stickers. But act fast, y’all — much like the line at Chipotle, this offer is moving fast. Once Chipotle runs out of the stickers, they’ll be out for good. Bustle had the opportunity to sample these scratch-and-sniff stickers firsthand, and boy howdy, the whole “it smells like Chipotle!” bit is not an exaggeration. The stickers come in three varieties: Smoky Adobo, Roasted Cumin, Flaming Chili.